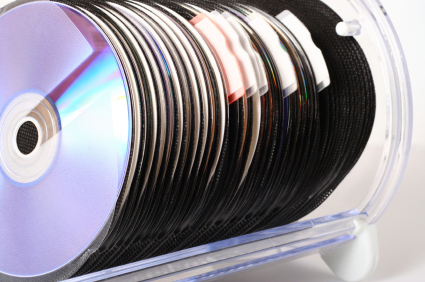 What are the Best Recordable CDs (CD-R) on the Market? First off, it is important to realize that the best is always a subjective concept, and that no matter what advice you receive, you’ll need to remember this rule: trial and error using the equipment you intend to use under the conditions you expect the discs to be able to withstand is the most reliable method of determining what works best for you. With that out of the way, there are absolutely certain things which can be said for recordable CDs in general. 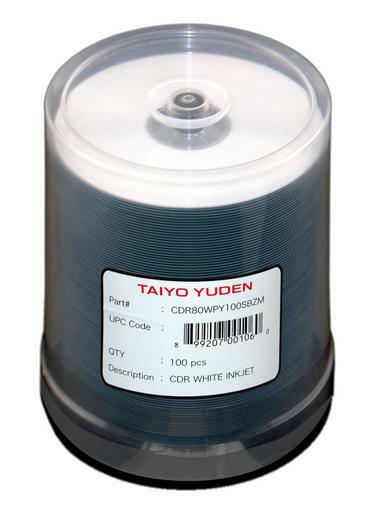 The first is that you should never consider the CD-R a viable long term storage option. By their very nature, CD-R media degrade over time. While manufacturers will claim extreme shelf life, the truth is that most will degrade in 5-10 years. Some poor quality discs will last far less time than this. This is particularly true in extreme environments such as heat, damp, or cold. While the available data on CD-Rs is too immense (thousands of reviews, tests, and opinions are available, some more objective, others wholly subjective) to attempt to even summarize in table form, it’s very possible to shine a light on some of the most common recommended brands. Each of them has been cited for quality. Though some are more durable and others more reliable (even among different types of CD-Rs within brands) all of these brands maintain a high standard across the board, and have been suggested time and again by multiple sources. Mitsui, Taiyo Yuden (the author’s favored brand, sometimes also labeled as JVC), and TDK. (Note that Fuji, HP, Philips, Sony, and Yamaha all generally re-brand disks from these three manufacturers, and are also reliable as a result.) Pioneer and Ricoh are second-tier recommendations, and should also be considered worth looking at. There are also manufacturers who produce discs that are most often cited as being troublesome. Unless otherwise unavoidable it’s wise to steer clear of them. First and foremost: do not use “no-name” discs no matter how little they may cost. (Unless you can confirm that they’re from one of the manufacturers above, but that’s rare.) Otherwise, definitely be wary of discs from CMC Magnetics, Fornet, Gigastorage, Hotan, Lead Data, Hotan, Maxell, Memorex, Princo and Verbatim. If a brand is not listed above there is a reasonable chance that it is a middle of the road option and should be considered potentially viable if other recommended alternatives do not present themselves. Finally, it’s wise to remember that not all CD-R’s are created equal within a brand. There are exceptions, particularly within the recommendations to avoid. Usually these are higher-priced CD-R’s from a specific brand. (Though a higher price is not always an indicator of quality, there are many CD-Rs on the recommended list to be had for low prices.) It is important to note that in general these are no better than a typical CD-R from the recommended brands. But following the rule we started out with, if you can secure a small variety of discs to test on your recorder(s) and player(s) before making a large volume purchase (which is always the best way to go about acquiring CD-Rs as the prices are very compelling) it can help you narrow down this broad field. Best of luck finding your best CD-R.
Posted in Uncategorized | Comments Off on What are the Best Recordable CDs (CD-R) on the Market? While CDs and DVDs are subject to degradation over time, it is possible to increase their longevity through taking good care of the discs. One of the biggest ways to increase the lifespan of your media is to pay close attention to the kind of storage conditions you maintain. First off you should do everything you can to keep discs away from extremes of heat, and any moisture. Both hot and cold can adversely effect the media, and humidity has been recorded as a major problem for many brands. As a result most people will find that the best solution is to store disks away from windows. Avoid both direct sunlight on the media as well as containers, cabinets, and shelves that receive direct sun. Do not place discs anywhere which is too close to an air-conditioner (which can reduce temperatures next to it be extreme amounts) or a heater. It’s best to take all media out of players when it is not in use. This saves wear on the players as they spin up and down, and the discs, as well as allowing you to store the media under good temperature conditions. In particular car stereo systems are notorious for getting extremely hot, as the dashboard is exposed to direct sunlight often. Discs stored under these conditions can degrade very quickly. Never set discs loosely on each other or place them on random surfaces. Dust and grit can easily get between the media (and the surfaces) and damage the protective layer, potentially exposing the data layer in the process. Also avoid allowing young children access to media. Even giving them “junk” discs can be a mistake as they’re later unable to discern which are the “toys” given to them by their parents, and which ones are valuable. For better protection, storage options which offer an upright configuration are often considered preferable, as the stress of the discs’ weight is not placed on their readable surfaces. The weight is instead held by the bottom edge or the center ring, depending on the storage system’s other attributes. The question of jewel cases (regular, slim style or long case type) vs. sleeve storage systems is one which has no clear consensus. Proponents of jewel cases insist that sleeves leave marks on disks very easily, while fans of sleeves point the finger at the hard plastic the discs in jewel cases are all too often pressed against as they are removed and replaced. No matter what you prefer, keeping dust away from your media is vital. Thus an enclosed storage system is recommended. In the case of sleeve systems, many come as binders with zippers that should be kept closed at all times. Jewel cases should not be stored on racks, but instead in enclosed drawers or cabinets. Running a cloth over a case before opening it can increase the chances that the media will remain dust free and viable over the long term. For travel storage, impact resistance is important. Be sure to choose an option with protection (rubberized covers, internal padding, etc.) for your on-the-go needs. In the end, your choice of storage will need to be customized to your own circumstances, but if you follow the advice in this article you should see considerably more longevity from all your media. You are currently browsing the Duplication Centre Resource Centre blog archives for August, 2012.